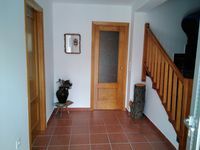 Property 3: Casa la Salamanquesa in the heart of the Tietar Valley. Property 5: Vaho (Apart 2) Apartment at the foot of the garden. Property 7: Nuñocojo (Apart 1) Apartment at the foot of the garden. Property 10: Quiet house in an idyllic location Near the Parador de Gredos in the sierra paz. House for large groups, with swimming pool, Nature, Alberche river bank. Property 15: House for large groups, with swimming pool, Nature, Alberche river bank. "AVE MARIA ACCOMMODATION" GARAGE AND FREE WIFI.